I’m starting by redefining the author interviews I offer. No longer the customary 20 questions and 1500 words, but 3 key points, a pic and a link! Sound tough? You bet, because when it takes between 50K and 150K to tell our story, it can be brutal to try to sum it up in less than 500 words- I know; I’ve tried! Nevertheless, this is what readers want, so this is what they’ll get! If you’re interested in an Author Interview with SEO punch, or you want to share a Character Spotlight with pizazz, read on! You’ll select THREE questions (from the list I will provide) to answer and, remember, ‘Brevity is the soul of wit!” Write your answers creatively. Your entire post needs to be 500 words or less. Create a brief Bio. Think of this in terms of an introduction- how would you like to be introduced at an awards ceremony? Select a pic that sells what you are promoting, hopefully your books covers or a marketing image you use. If you’ve got a specific date in mind that you would like to promote, such as the release of a new book, a signing tour or any other publicity event, please let me know and I will be happy to work on scheduling a specific date that will maximize exposure. MOST Importantly of all- Have Fun. If you don’t enjoy reading your post, who will? 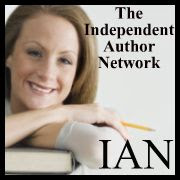 I hope you will take me up on the offer 🙂 Thank you for allowing me to support you through my FREE Author Interviews and share your work with the world! 20 years ago I was the manager of a retail music store called The Wall. While working there, I met a young man who so influenced my life that I actually had a series of posts early on in my BnV career that were inspired by him (The Burning Questions). He had a particularly intriguing habit of coming into work each day with a specific question. He would pose this question and we would spend the remainder of the day discussing amongst ourselves our thoughts and opinions on the selected topic. Who is the best band of all time? What is the best song ever written? Do ghosts exist? Is there a God? And always, WHY? They were some of the best conversations I’ve ever had. They must have been, because I still remember. Fast forward 20 years. Lives change, tragedies and challenges happen, and Inspiration Leads. This same young man is now a father and husband, pastor of his own church, a relatively new blogger and the author of his first book. (I say first, because Im certain there will be many). I shared a post by him just last week called “Youth Sports — Love With A Capital L” and now I’d like to introduce you to him. So grab a beverage, curl up with a blanket and enjoy …..
My name is Chad and this is my profile. These sorts of things always seem vain and self-important, but I can’t figure out why. We wear name tags, introduce ourselves, smile and invite each other to our parties. This is all a very natural overflow of our human need to connect, to see ourselves as part of a bigger story. 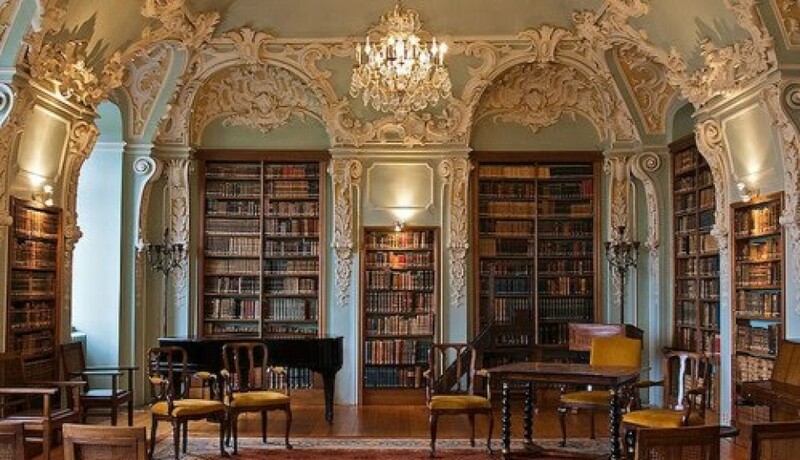 When I can find a real-life bookstore, I look at the titles, cover art, and excerpts for the same reason: to find somewhere I can belong, someone I can relate to, a hand to hold. I guess this impulse is why I/we do anything. I write often and from a pretty specific point of view. That we are loved and accepted by Our Creator – this perspective is the life-line that runs through every word, even if it is never stated. Because you can tell, right? You can tell if someone thinks you are worthy and beautiful. Religion has so often come down on the wrong side of this, showing people we are garbage, we are primarily sinners possessing no real intrinsic value. It’s why I ran from God, Jesus, and spirituality for most of my life. Once I woke up to the fact that this couldn’t have been further from the truth, woke up to the fact that I was loved, here, now, today, what else could I do but spend the rest of my life as a modern-day street preacher? Instead of sandwich boards pointing to a fiery hell, my tools are my heart to open and my arms to wrap around a cold and lonely world who has believed a lie for way too long. I started the Bridge Faith Community where I teach on Sunday mornings, write on 2 blogs; bridgefaithcommunity.com and lovewithacapitall.com, and now I wrote a book; Chronicles, Nehemiah and Other Books Nobody Reads, that you can get at lulu.com or at my house. The Bridge blog is very spiritual, mixing my life with Scripture in an attempt to clearly display that God is not somewhere else, that He is here, if only we have eyes to see. Love With A Capital L is a bit more fun, mixing my life with, well, your life and the art I see/hear/experience and the things that make today explosive and ordinary and painful and overwhelming and totally worthwhile. These things are the way I express myself, but to be honest, my favorite work of art is my life. I have been given gifts I could never have imagined and been blessed far beyond my wildest dreams. I have 2 of the sweetest boys you have ever met, Samuel and Elisha, and a wife who is truly an Angel. So, I might make it to a million or I might die tomorrow, but I will be thankful for every moment. Now that it’s finished, maybe it is vain and self-important, but it was pretty fun, too. Let’s take this one day at a time, I’ll hold your hand if you hold mine. If picture’s worth a thousand words then your touch is worth them all. For the closing prayer, everyone at the Bridge stands and holds another’s hand in each of their own. Now, for some, this introduces an element of dread into an otherwise safe environment. I’ve seen some hurry from their seats into the lobby or their car when they begin to sense the message winding down. For others, this is the perfect end to their morning. At the Bridge, we give an awful lot of thought to the environment we create. From the color to the art on the walls to the music and placement of the tables and food, the narthex (a super-fancy term for lobby that I just love) is designed for welcoming comfort. The people are engaging and kind, the food is terrific, entering is easy and non-threatening. However, once the service starts, there is a different aim altogether. The Scriptures invite us into a transformation, a spiritual re-birth, and transformations are never comfortable. Has there ever been a woman, reflecting on childbirth, that would say it was anything other than stressful, arduous, and exhausting? It’s called labor. Of course, the primary announcement of the Gospel, the Good News, is one of grace, forgiveness, rescue, and life. No matter who you were, what you’ve done, where you’ve been, you can come home. Not only can you come home, but the Creator of the Universe, and the Creator of you, has been waiting for you with the table set. He has never stopped loving you. You do not have to get it together, stop doing whatever, start doing whatever, or climb any kind of ladder of achievement. He loves you and accepts you, exactly as you are, here, now, today. My wife fell in love and married me. That was really good news, too. She accepted me as I was, scars and all. I had many habits and vices, none of which I’ll detail here and none of which were honoring to a woman as lovely as Angel. She loved me anyway in spite of my flaws, the way I was. There is really only one response to that kind of overwhelming love; to live into those shoes, into that identity. (Obviously, the love of my wife is a laughably poor comparison to the love of Jesus Christ, but sometimes laughably poor comparisons are all we have. The Taylor Swift song ‘Begin Again’ makes me cry because it points me in the direction of my God.) If someone sees you, loves you, speaks a fresh word about you, and you believe it, that can change everything about you, everything about the way you live. All of the things that you settled for before that moment suddenly aren’t good enough. You are a child of the Living God, made in His image, and there is an honor and dignity to that. Some things are beneath you now. You are made to fly, not to crawl in the muck at the bottom of any gross barrel you see. But leaving old lives behind is hard. Shedding that skin is painful, full of starts and restarts. Welcome to a full capital-L Life. Ideally, you come inside and you hear you are the beautiful artwork of God, loved beyond reason. And you weep. Then you realize that you have erected all sorts of walls, carried such heavy baggage, worn thick iron chains around your neck, locked yourself in a prison you have built. You have believed so many lies that this is all you are worth. But it’s LOVE that exposes those lies. It’s LOVE that gives you the tools to break those chains, destroy those walls, and demolish that prison. Tearing down the cage you’ve constructed forever is hard, terrifying work, not for the weak. We live in a culture that glorifies the individual, the loner, the hero who pulls herself up by the bootstraps. Our culture has minimized actual personal contact until we have days where we don’t see or talk to another human being in person. I have hundreds of friends on social media, some I’ve never actually met. I prefer to text. If my phone rings, I assume it is an emergency. I drive myself if I must leave the house. But why would I leave the house? I can order any products I see advertised to live a fulfilled life. I can order my groceries online and someone leaves a box outside my door. I don’t even have to get dressed. I have new neighbors who I haven’t met. This is life? This is living? Is it living to measure my worth based on how many ‘likes’ my latest post garners? In a word, no. So we hold each others hands as an act of rebellion, opposing the culture that tells us we should worship at the altar of ourselves and our superior abilities. We hold each others’ hands as proclamation that we are, indeed, alive – especially if we have forgotten. Though the road can be long and difficult, it is nothing we have to travel alone. Do you know what damage it does to a soul that is never touched by another human being? One of the most revolutionary barriers Jesus broke was to touch those who shouldn’t have been and never were touched. In fact, they were called ‘untouchables’ and they were cast out from the rest, regarded as less than human for some reason or another (blood, skin, sin, etc.). Jesus spoke with them, ate with them, and shockingly touched them. As if they were friends or children and not just a disease, history, or reputation. Of course, the healing was physical, superficial, but the true healing took place where the Pharisees could not see, in their hearts. And that is absolutely worth a bit of uncomfortability. Thank you so much Chad for sharing your time, talent and self with BnV. Im pleased and honoured to share the news about all you are doing and pray only the best blessings…or the most inspiring …ever touch your life. IN HIS WORDS: Richard was a Company Director in retail until finally plucking up the courage to show people the writing he had spent years shyly stashing away. Joining HarperCollins’ Authonomy site was the jolt he needed to realise people liked what he wrote. Winning a gold medal there for his book The Snow Lily, was a great boost. Since then, he has spent a long time writing and preparing a trilogy of SciFi/ DarkFantasy books which he hopes to have traditionally published. Richard stopped by for a natter, so lets put the kettle on and get right to it! RICHARD: Hello, my name’s Richard. My blog is a place where I post writing and poetry that is on my mind and needs to come out, (there’s far too much in there.) I use my blog as a way of honing my skills for the longer writings that I love. I believe the more you write the better you write and I try to practice what I preach. RICHARD: Everything inspires me. I can hear a word, or see an image, or even hear something, and it sets off the creative juices. I have written a whole trilogy of books based on one simple image that I saw and was taken by. I never struggle for something to write about because I will never have enough time on this earth to write everything that’s in my mind. RICHARD: I don’t really share any message other than insisting on writing what I want. I would always encourage others to do the same. Don’t pamper to people because the most heartfelt words are those that are most honest, regardless of the length or style they are presented in. RICHARD: I wouldn’t say my blog has helped other than not having to worry about wasting what I’ve written. It’s given me a home for all the words. RICHARD: My first book was called The Snow Lily, a story about two abandoned children in Victorian times. I was lucky enough to win a gold medal on the HarperCollins Authonomy site through my efforts. This gave me great confidence (as I have none) and a major boost to my resume. I never had any intention to publish it but one day I might. I am currently writing a Sci-Fi / Dark Fantasy trilogy. I have made the unusual decision to write all three books in one go and then return to them one by one in order for publishing. I want each book and the trilogy as a whole to be perfect before it goes out there. 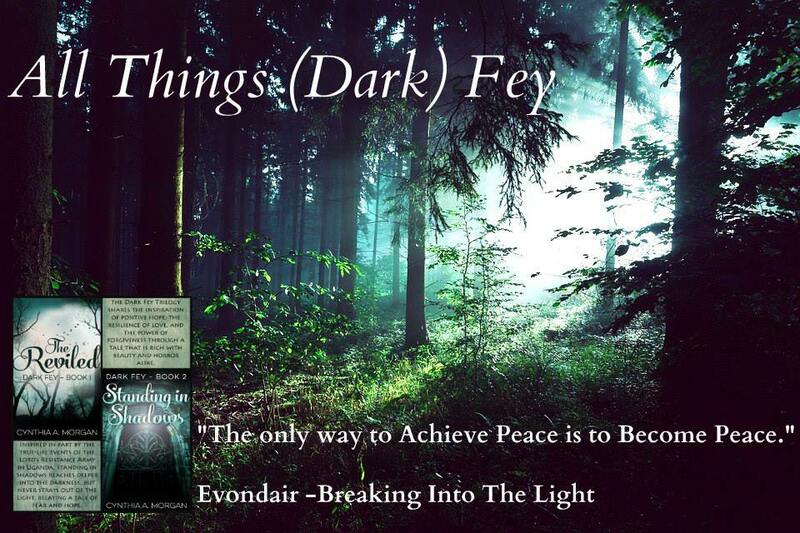 Believe me when I say, they are unlike any Dark Fantasy book you will have read. The Trilogy was going to be called Decadent Gothic but I have recently altered it to The Eternals Saga, as it’s just a touch more appropriate. PS. Shhh! They’re almost done. RICHARD: The whole Eternals Saga was based on a single, spectacular image that I saw. I can’t say what though, as it would give the game away. RICHARD: I prefer first person but aren’t particularly bothered. I just find it easier to be in the protagonist’s shoes if I am writing as though it is me. I like to look through my main character’s eyes, so to speak. RICHARD: People have said I have a Literary style, but I would leave that to others to decide. RICHARD: I love every genre. I hate to be pigeonholed. But, dark fantasy and the speculative genres that abut it are my real passion. Basically, things with a fantastical element. RICHARD: I’m neither. I’m very lucky that the moment I have the idea the whole thing unravels in my head. I have no need to write a word of plot unless I wish to. I know exactly how it will start, finish and everything in-between within moments. RICHARD: They always have a twist near the end. RICHARD: Write what you want how you want. And NEVER, NEVER EVER let anyone tell you that you aren’t good enough. Practise and you will be. If you had to describe yourself to someone who has never met you, what might you say? RICHARD: I wouldn’t, as I’m too shy in person. I always know what to write but never know what to say. Plus, I’ve never had a very high opinion of myself. RICHARD: I love to run and do so everyday. I also love nature and all it encompasses. RICHARD: My dream destination is Wengen in Switzerland and I have been there. The place has spectacular scenery, mountains to die for, and once out of the town itself is wonderfully quiet. I also love the British Lake District for similar reasons. I would love to live near mountains and am a very quiet person. I am honoured, Richard, that you agreed to share a bit about yourself and your writing with me/us. Thank You Ever So! 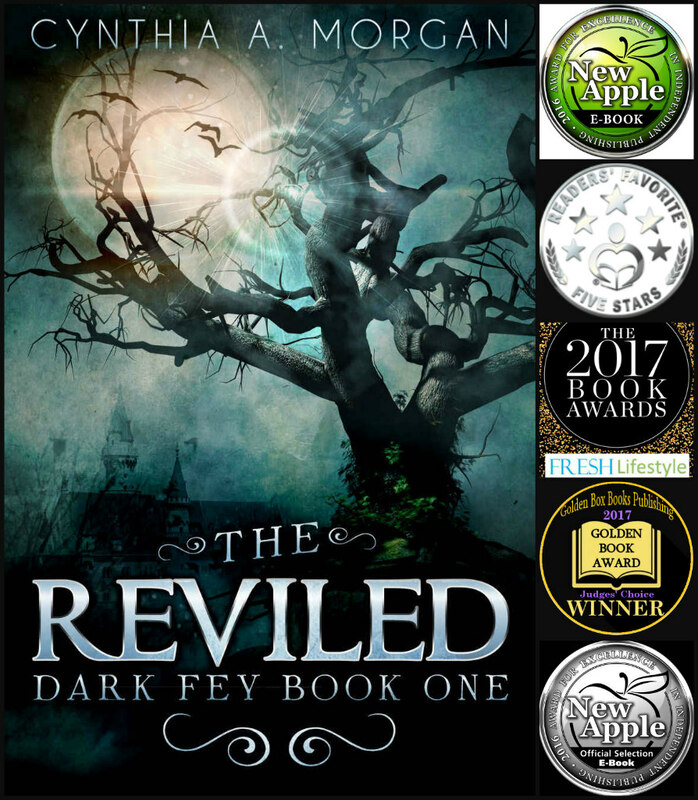 THE REVILED: Book One of the Dark Fey Series, by Cynthia A. Morgan, is a five star read. It is a fantasy with some very unique characters and an imaginary world. It reflects real life battles between good and evil. There is love, friendship, determination and loyalty. The story is very engrossing, entertaining and an enjoyable read. The voice crying out in the wilderness…. Today we find ourselves in the second week of Advent, this time of waiting and anticipation of Christ’s return. A time to reflect on our own lives and prepare our hearts to celebrate the birth of our Savior. The scripture from the beginning of Mark’s gospel is titled, “The Proclamation of John the Baptist.” Mark’s gospel is the shortest of the four gospels, it is direct, it is to the point and each verse is filled with meaning and purpose. Mark is direct enough that he skips the nativity and baby Jesus account and immediately begins with the good news of Jesus Christ, the Son of God. Mark begins his gospel and account of Christ by going back in time. Make straight your paths, for the promised one is coming. In Isaiah’s day he spoke to a Jewish audience that had been exiled. In Mark’s account he talking about Christ and the messenger preparing the way for him. In this painfully hectic time between holidays, how much time are we spending preparing our hearts, souls and minds to meet and be present with our God? This time of year we don’t celebrate credit card debt or empty bank accounts. We don’t celebrate added inches to our waistline. No, we celebrate the birth of our God. The mystery of the incarnation and the insane lengths our God went to, to reconcile us to him. To bring us closer to him. In preparing for this sermon I read about and questioned why our God would need someone to prepare the way for him. Why would an all-present and all-powerful God need a man dressed in strange clothes – camel’s hair, and who ate weird things (locusts and honey) to prepare the way for him? Is it because we all stand on the shoulders and accomplishments of those that have gone before us? We all stand on the ground that was prepared for us by others. All the hard work of our ancestors and their desire to see their children succeed have benefitted each of us. Unfortunately, these bodies and minds of flesh that have short memories and are inclined to take credit for what has been accomplished. Even our God, who emptied himself of all his divinity, needed someone to prepare the way for him. An all-present and all-powerful God would rely on a mere mortal to be the voice crying out in the wilderness. Why would God need someone to prepare the way for him? And why would he pick a strange looking and acting guy to be that person? ….It would take someone with far more knowledge than I to fully answer that question. I think it has to do with the humility of our God. We celebrate, honor and worship a God that gave up the splendor and glory of heaven, all that beauty to come to this world riddled with sickness, disease, war, famine, acts of evil and death. I think that I would rather look at that from a distance and bask in the beauty of heaven. But not our God. He saw the terrible consequence that sin caused and he decided that something had to be done about it. He traded his mansion for a mud hut, he traded power for humility and splendor for suffering. He sent his messenger, John the Baptist, before him. John appeared in the wilderness, proclaiming a baptism of repentance for the forgiveness of sins. People came from the Judean countryside and from Jerusalem to see, hear and be baptized by John the Baptist. He had his own disciples and was popular enough or posed enough of a threat that even the Pharisees came to see what all the commotion was about. Repent, for the kingdom of heaven has come near, make straight your path, prepare the way for the Lord…….Repent……confess……..understand your own brokenness before your God……..ask for forgiveness for the kingdom of heaven has come near……. What if each of us in our own way is John the Baptist? We may not go out into the timber or near the closest river and cry out or wear strange clothes, but what if each of us as we commit and recommit to our faith every day is living like John the Baptist? Every time we commit to be read our bibles, to pray, to be a part of a small group, to do something for someone else, every time we chose to be intentional about our faith that we straighten our own path and influence those close to us. Lives of faith can scream and proclaim the gospel without speaking a single word. Proclaim the gospel always said St. Francis, use words only when necessary. John the Baptist knew his mission was to prepare the way for the one that is coming, one far more powerful than he. Are we proclaiming the good news of God’s action and arrival in this world, the coming of God’s kingdom, his ministry, death and resurrection? As we celebrate and honor the second Sunday of Advent, let us remember all of those that have gone before us. Let us remember the spiritual giants in our own lives and Mark’s gospel does recalling the words of Isaiah. Let us live bold, courageous lives of faith that speak to this world and those in it who we are and what we are about. In this painfully busy time of year, let us slow down and take time to reflect on what is truly important and why we celebrate with gifts, good food and precious time spend with family and friends. Let us go with the knowledge and the truth that our God is coming back to this earth. It may not be in our lifetime, but he is coming back. If we don’t see him in the time each of us has left, that is no reason or excuse to be convenient or flippant about your faith. Let us be about the work of the one that created all that is good and holy. Let us be about the work of a God that became the word incarnate. A penniless, nomadic preacher that come to save the souls of many. The parable of the talents…. I am so Blessed. Truly! As my writing expands into thoughtful musings, doors into other places where these musings may touch and possibly Inspire continue to open. Is it me, working diligently to seek out other opportunities and venues? Perhaps. Is it the Influence of Universal Love guiding and directing the words Inspired by that same Influence? Perhaps. Or just possibly a combination of the two, for I do truly Believe We are Helped when we Help ourselves. What the Harry Potter am I talking about, you might ask? Simply this: I have recently been accepted as a writer for Vocal.Media a platform from which writers may share their thoughts and inspirations on a multitude of subjects. Whether you are into gaming, meditation, music, art, poetry,SciFi, Lifehacks, pet health, pop culture, and more, you can find something new and interesting to read about. This week they have published two of my submitted articles. Attaining Utopia – A look at the journey writing takes between being a book and translation into a movie. Purpose and Destiny – Me Musing about how we use the special gifts with which we are Blessed. I hope you will enjoy these and perhaps others, should I be blessed with additional publications, AND that you may find other writers who will equally entertain and, potentially, Inspire. How do you want to be remembered? We have to accept that death is a part of this life. Not to be feared, but to be a celebration of this life and the life to come. From a jail cell, Paul wrote, “For you have died and your life is hid with Christ in God.” The person you were before coming to faith is gone and you have been born again. When that happen, life changes. Lives that burned for the things of this world are transformed into selfless lives of service. Things are seen for what they are. They have functional value and it’s nice to have nice things, but not at the expense of being able to do for others or finding your self-worth in them. We don’t remember people for what the took — we remember people for what they gave. How do you want to be remembered?